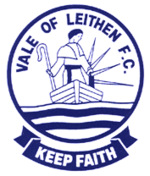 Vale of Leithen Football Club aims to create and maintain an environment where spectators can enjoy the game of football, safe in the knowledge that they are free from all forms of harassment, abuse, unacceptable or disorderly conduct. This document is designed to describe Vale of Leithen Football Club’s policy on unacceptable conduct, which applies for any football matches or events within Victoria Park, Innerleithen, or at any away ground fixtures. • Actual, attempted or threatened physical violence against a person or persons. • Intentional damage to property. • Colour, race, nationality (including citizenship) or ethnic or national origin. • Membership or presumed membership, of a religious group or of a social or cultural group with perceived religious affiliation. • Using threatening, abusive or insulting words or conduct both verbal and non verbal. • Displaying writing or any other item which is threatening, abusive or insulting. Vale of Leithen Football Club condemns racism in any form, either on or off the pitch. We aim to create and maintain a working and spectating environment free from racial harassment and abuse. Everyone connected with Vale of Leithen Football Club has a responsibility to prevent racial harassment or abuse. A racist incident is defined as any incident that is perceived to be racist by the victim, or any other person. Racial harassment is defined by Vale of Leithen Football Club to be any verbal, physical, written or visible abuse that is based on a person’s race, ethnic background, colour, nationality, language or cultural background – and is considered to be unwanted, unacceptable and offensive to the person. Proven racial harassment or abuse will lead to action being taken against spectators and will be reported to the police and may result in a life ban from Vale of Leithen Football Club. The club will give their full support to the police in any criminal actions. All employees, committee members, players and servants of the club have a responsibility to make it clear that such behaviour by any is unacceptable. Vale of Leithen FC fully supports the Show Racism the Red Card Campaign, details of which can be found at www.srtrc.org. • Respect people of all backgrounds and celebrate the multicultural society that Scotland has become in the 21st Century. • Want their football clubs, and the support for their clubs, to reflect the diversity of modern Scottish society. • Are as passionate about their football clubs as they are about their national team. • Removal from Victoria Park or away stadium. • Suspension from attending home matches involving Vale of Leithen Football Club. • Indefinite ban from attending home matches involving Vale of Leithen Football Club. • Suspension or ban from the Vale of Leithen Football Club committee. • Report to the police and possible criminal proceedings. Football Club is associated with good and sporting behaviour at all times. Vale of Leithen Football Club will make this policy public in match programmes and on the club’s official website and keep this policy under review, with additions or amendments made where deemed appropriate by the club, or under the advice of governing bodies, Police or other relevant bodies.